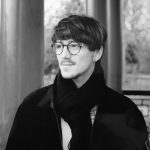 With 2016’s release of Rogue One: A Star Wars Story, Disney ushered in an innovative model for the Star Wars franchise: whilst fans could (and can still) rely on a trilogy of sequels to continue the traditional Jedi/Sith conflict, the biennial stand-alone films would allow for experimentation with narrative and genre. 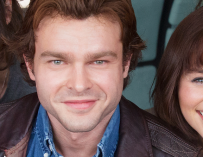 Whilst Rogue One dropped the lightsabers for a more ‘war-epic’ feel, the newest one-off, Solo: A Star Wars Story, frames the story of a young Han Solo (Alden Ehrenreich, tasked with filling Harrison Ford’s boots) and his initiation into the world (or rather galaxy far-away) of space piracy and organised crime, within a heist movie – the prize: millions of credits-worth of unrefined ‘hyperfuel’. From its outset, the film doesn’t fail to disappoint in terms of its visuals; the sets, spaceships and speeders are as well-crafted as fans have come to expect. The costumes of the mysterious ‘marauders’ who tail the outlaw heroes are particularly striking. 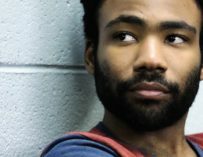 Moreover, these same fans are likely to be drawn in by the thrills of the beloved titular character’s origin story, from his first meeting with Wookiee-chum Chewbacca to his winning of the iconic Millennium Falcon from Lando Calrissian (here portrayed by Donald Glover, who seems born for the role with his effortlessly cool delivery). 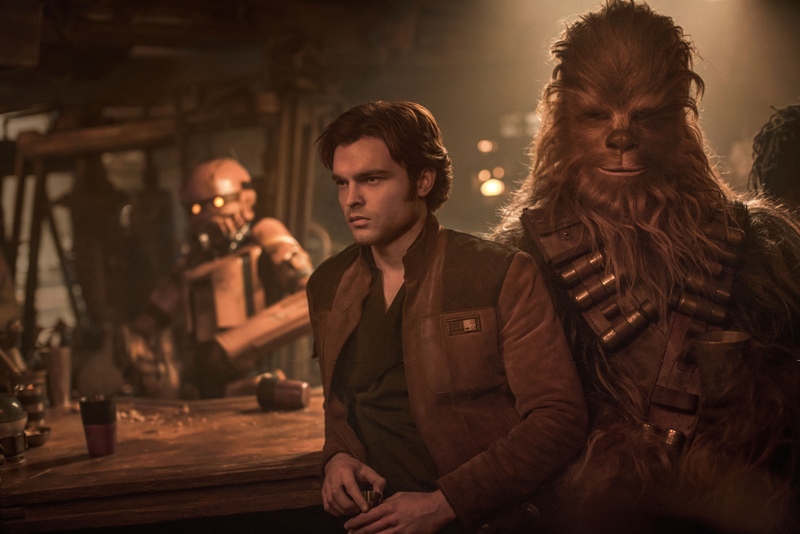 Beyond its fan-service, however, Solo is somewhat lacking. 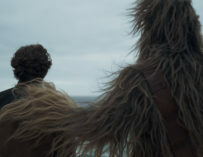 The main drive of the story – the rescue of doe-eyed Qi’ra (Emilia Clarke), Solo’s love interest – is too hastily developed, leaving the film’s opening feeling rushed and lacking the emotional impact it could have delivered. This rushed feeling is one that lingers throughout the film; scenes are seemingly cut short and sequences with amazing potential – such as the characters’ introduction to the aforementioned icon, the ‘Falcon’ – are glossed over. Everything you’ve heard about me is true. 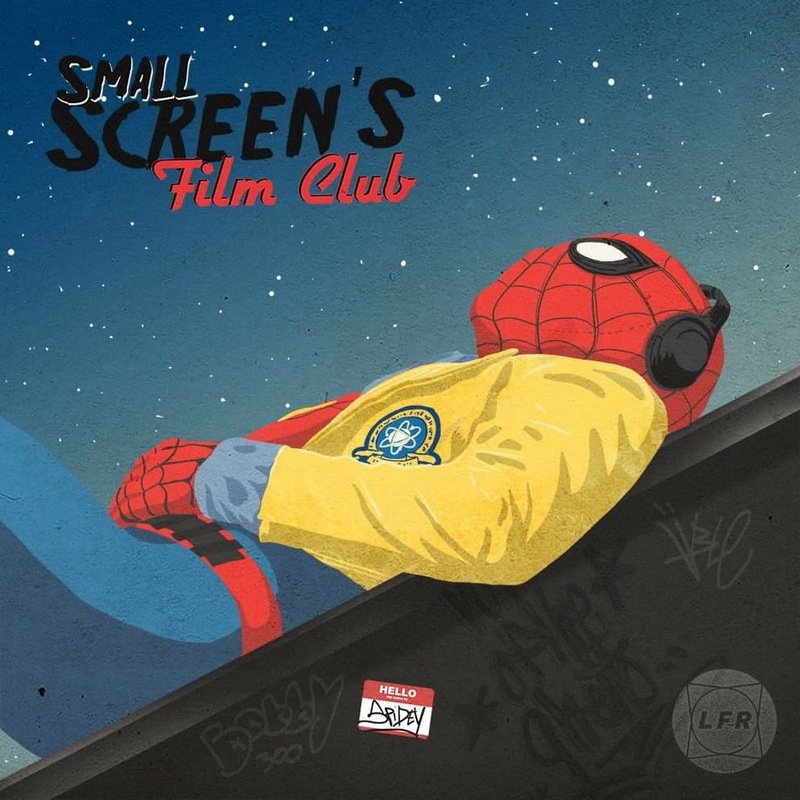 Whether this hastiness is the result of attempts to trim the film down (it already stands at a less-than-concise 135 minutes), or Ron Howard’s hurried reshooting of Lego Movie’s Lord and Miller’s initial filming, after they ‘parted ways’ with the production, is unclear. Either way, the unnecessary gaps in the narrative are as difficult to overlook as a head-on confrontation with an Imperial Star Destroyer. 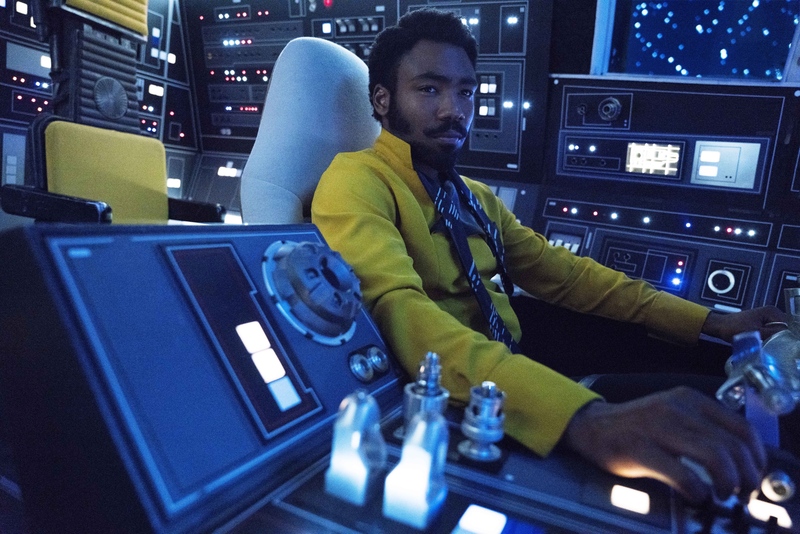 Considering the brilliant one-liners and banter between Ford’s Solo and Billy Dee Williams’ Lando in the original trilogy, the comedy also comes surprisingly slow and predictable in Solo, besides some fantastic physical humour early on and a particularly well-executed robot uprising at the hands of Waller-Bridge’s L3-37. It’s hard to imagine that there would have been such an absence of sharp-tongued wordplay had the cast been allowed to add the improvisational touches advocated by Lord and Miller – part of the supposed reason for their ‘creative differences’ with Disney. As it was, Lawrence Kasdan’s script left the actors’ considerable combined talents feeling wasted. 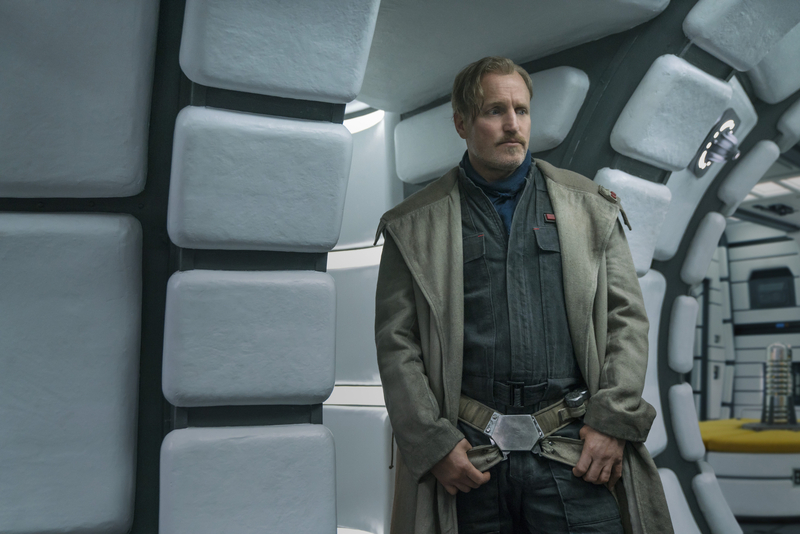 Don’t get me wrong, the film was good fun; for Star Wars fans there was certainly a lot to look at – Lando’s cape collection alone was a joy to behold – and the story picked up towards the end, as the menacing Dryden Vos (Paul Bettany) came to play a larger role. 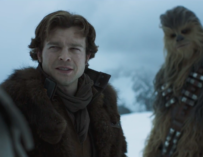 Overall, though, between the flaws in its flow and its lacklustre dialogue, Solo felt like a missed opportunity.